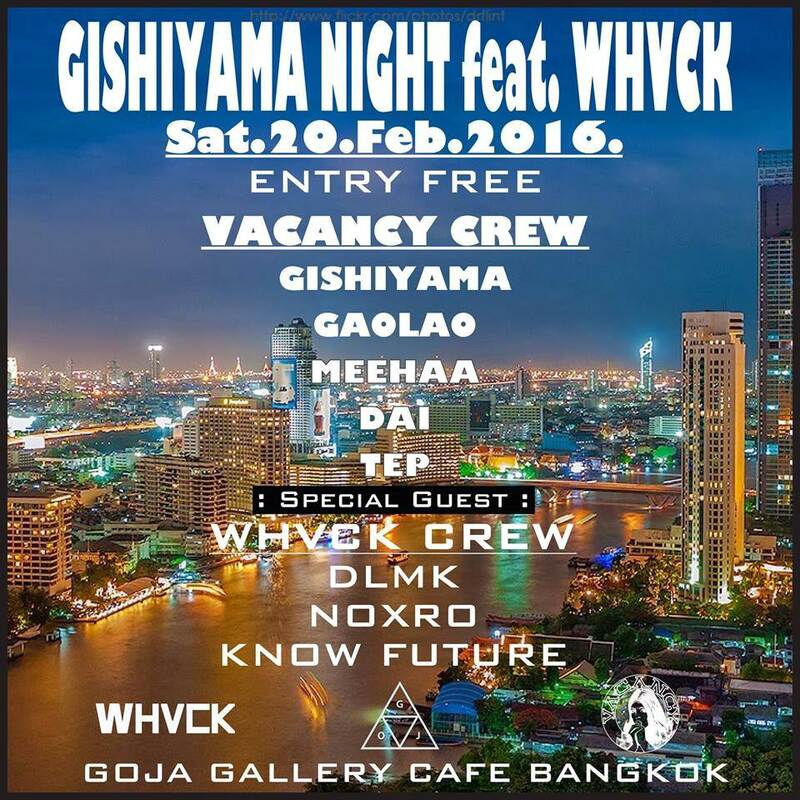 Goja presents GISHIYAMA NIGHT with DJs Cacancy Crew and WHVCK. The lineup features Gishiyama & Dai (Phrakanong Soundscape), Gaolao (Hightime), Meehaa & Tep (Vacancy), and the WHVCK DJs DLMK, NOXRO and Know Future. Entry is free.